The Tactical Assault Panel (TAP) replaces the Fighting Load Carrier to allow for quick-release of equipment in emergency situations. TAP is compatible with the quick release system of the improved outer tactical vest and soldier plate carrier system (SPCS). 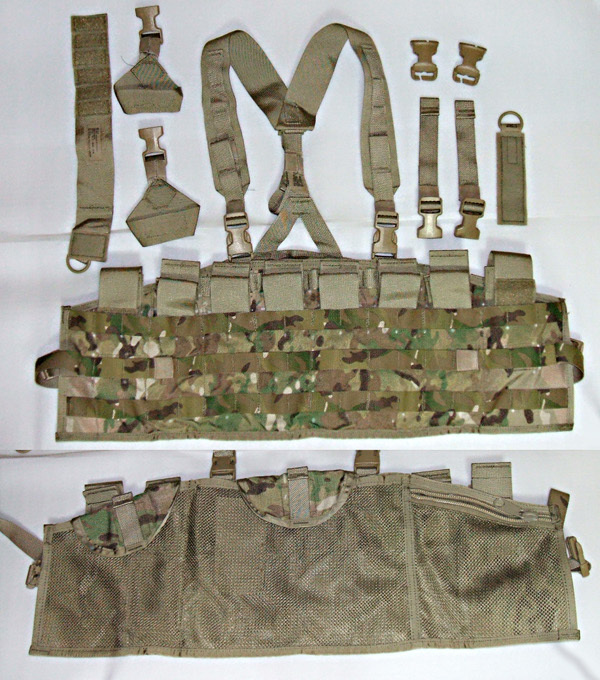 TAP can also be worn like a Ranger Assault Carrying Kit (RACK) using the external webbing harness. Tactical Assault Panel. 1 ea. Adapter Web Left Side. 1 ea. Adapter Web Right Side. 1 ea. Side Release Buckle, Female, slotted. 2 ea.